I cover my eyes, turn my head, walk away. Renew me, O God, by your far-reaching grace. at this moment, on this day, for all time. is now available for you to read from your Resource Center. This historical novel on Martin Luther will immerse the reader in the dust and grit of sixteenth-century Germany. You will not only feel that Luther's struggles are your own struggles, you will enter the gates of paradise with Luther into the freedom of justification by faith alone in Christ alone. Danika Cooley is both an engaging writer and a careful and winsome theologian. As all good novels do, the reader will be drawn into the story from beginning to end. While this is not the in-depth study you will find in our Martin Luther in 3 Volumes series, it is a great read and comes highly recommended! "Honoring our Neighbor's Faith: A Lutheran Perspective on Faith Traditions in America,"
Need some ideas for your VBS this summer? Here is a downloadable guide to "Common Prayer: From conflict to communion" encouraging Lutherans and Catholics to join hearts and voices in intercession. 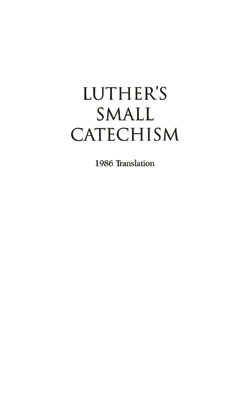 Lutheran-Catholic Commemoration. "Faith is permitting ourselves to be seized by things we do not see." but since you aren't wise, you need us who are old."